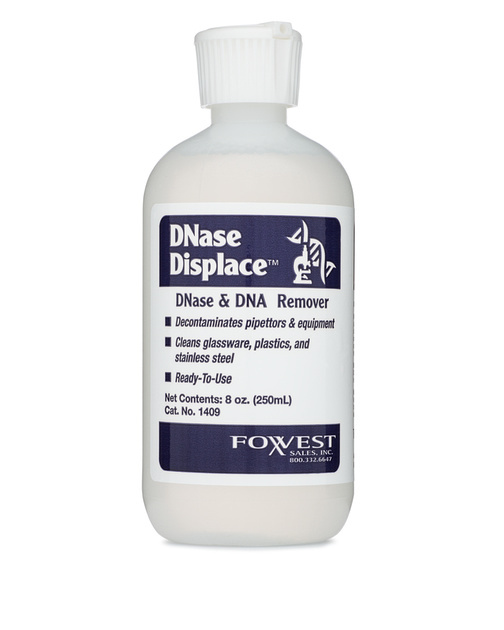 DNase Displace™ removes DNase and unwanted DNA. It works instantly so there is no waiting. It eliminates the time-consuming method of autoclaving. DNase Displace™ can be used on all surfaces including glass, plastic, metal and ceramic. It is phosphate-free, safely disposable, non-toxic and totally rinsable for the decontaminated surface.